Yuan Gong At-Home Learning is a complete course to get you started on your Yuan Gong practice or to deepen an existing practice. The Yuan Gong methods that primarily address body and Qi (energy). These are most effective when learned and practiced sequentially. The Yuan Gong methods that primarily address the heart and mind. These can be practiced in any order, or even concurrently with the others. 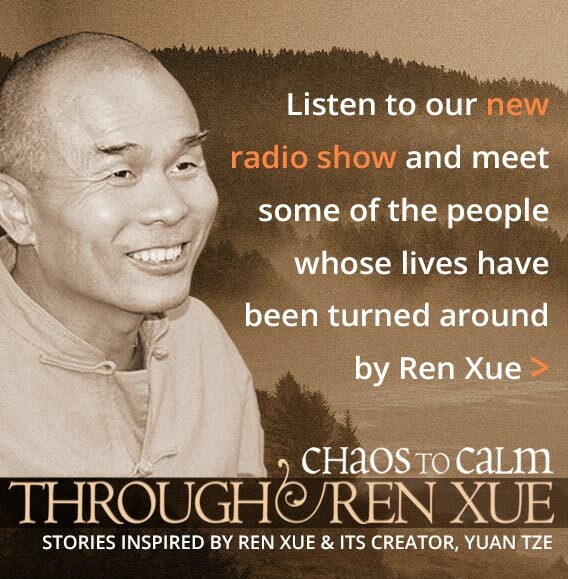 Begin by getting an overview of Ren Xue through reading Yuan Tze’s most recent book. Explore our database of teachers to find someone near you, or someone who can work with you over Skype. Help support our non-profit organization. Contact info@renxueamericas.org or use our contact form. Dive right in! Visit our international site for details. "Yuan Gong brings the teachings of Ren Xue more alive, bringing a deeper connection between the practice, the theories, and life cultivation."